Join us for a relaxing, sistering, Nature-connected weekend in the lovely surrounds of Peace Valley Australian Bush Retreat. 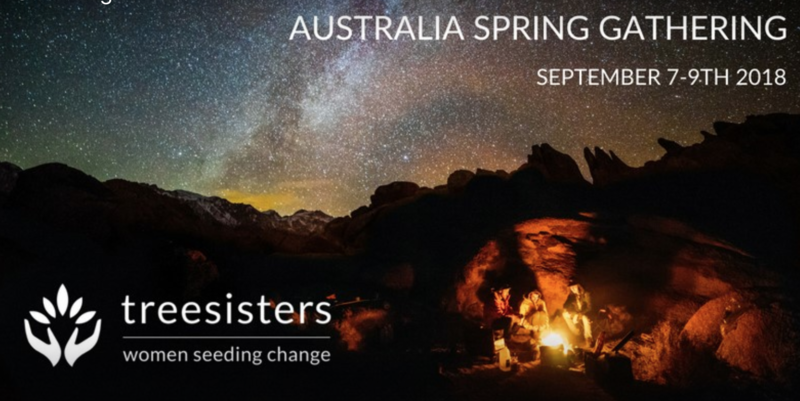 This is a beautiful opportunity for us to gather as women and treesisters and weave deeper connections with one another. Gathering in person and calling forth the highest expression of each other is strengthening, encouraging, empowering and fun! Event Details: The weekend is open to treesisters and their female friends, aunties, sisters, mothers, grandmothers! It is a child-free weekend, however girls 15 and over are welcome. This gathering is a delicious opportunity to immerse yourself in stunning, natural surroundings in a very simple way ... to slow down, put down your responsibilities for the weekend and give yourself the gift of spacious time out. During the weekend we will: sit on the Earth, connect around the fire, sing, meditate, sister one another, walk in the forest, plant some trees, play and share beautiful food. The weekend has been crafted to be a gentle blend of activity, relaxation, connection and spaciousness. New Moon is on September 10th, so if you would like to stay an additional night (Sunday) and join us for a new moon meditation on Monday, please let us know.